Based on the 2011 novel by Patrick DeWitt, The Sisters Brothers stars John C. Reilly and Joaquin Phoenix as the eponymous brothers, a pair of assassins. The film follows the brothers as they hunt John Morris (Jake Gyllenhaal) and Herman Kermit Warm (Riz Ahmed), who have teamed up to look for gold. 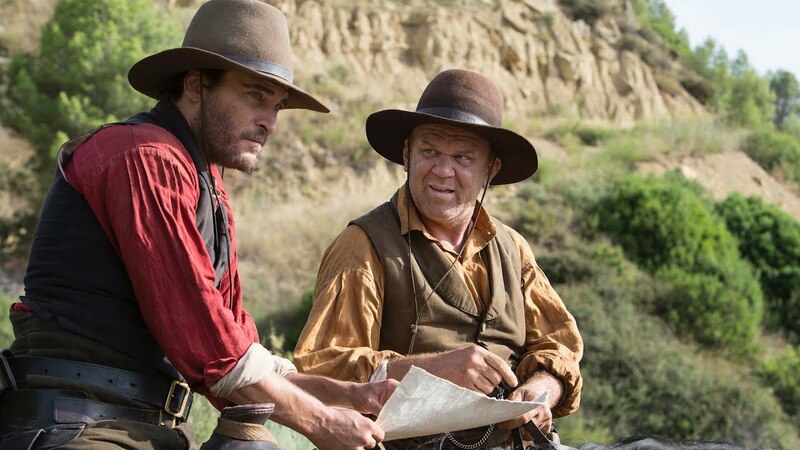 While The Sisters Brothers is a dark comedy, its stark dramatic elements outweigh the comedic moments so it is hard to know whether to laugh or squirm. However, it is ultimately a Western so everyone ultimately has their own agenda in order to survive – Charlie (Phoenix) is content with drowning his sorrows and taking orders while Eli (Reilly) dreams of a life away from a handgun. However, the film’s most suprusing character is Warm (an underrated Ahmed), whose invention to find gold brings out the greed in other men despite his own altruistic ambitions. The slow tone keeps the film at an almost monotonous pace, so it is up to the cast to carry the narrative. All four actors deliver engaging performances and bring something different to the mix. From Gyllenhaal’s eloquence to Pheonix’s intensity, they offer subtlety and a quietness that is appreciated during the hunt. The small number of protagonists and minimal dialogue enable director Jacques Audiard to evenly develop each character so audiences can easily empathise with them. In addition, he simply conveys the solitude and perils of the wilderness, which nicely complements Benoît Debie’s stunning cinematography. Overall, The Sisters Brothers offers great performances amid an intriguing premise. Along with its beautiful cinematography, it is a surprise of a Western. The Sisters Brothers is out in UK cinemas on 5 April.